Are you surprised I'm trying another coolhaus flavor so soon? Well, funny story. They saw my review of their s'mores flavor and were curious about my interpretation of its texture. Apparently it's supposed to be chewier than their other flavors, and to help prove it, they sent over a half dozen free samples for me to try. They sent over everything but their Chocolate Molten Cake (which I would have grabbed first), so let's go with their most unique offering instead. Quick FYI: They are rolling out new packaging for 2017. Wow, this one smells great after removing the seal. I don't really know what to expect with this one. I know balsamic can spruce up a strawberry flavor. I know I enjoy whole wheat fig newtons (yes whole wheat, it just clicks with the fig filling, trust me). And mascarpone is hard to spell, I mean it's a cream cheese, and we've had decent luck with cheese flavors on the blog. So this should be good right? Ha, ok, I tease a little, ofcourse this is good, I didn't expect it not to be. 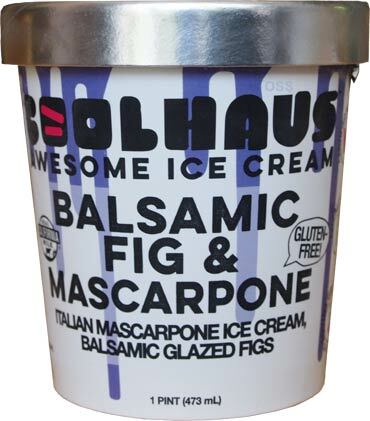 The biggest concern really is how well the flavors will balance out, and then I guess the secondary concern is how exactly do figs work in ice cream. Well, you don't need to worry about either point. The flavors blend together well and the figs are kind of like raisins texture wise, though I feel saying that will sound negative. This is a nice flavor though and the texture is now more in line of what I expected in the first place. 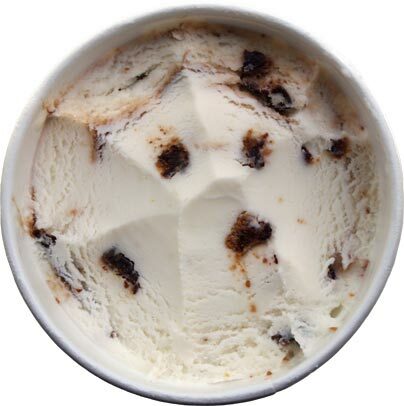 It's got a nice cream cheese type flavor that's pleasant but not overpowering. The figs are something different and the fact that they aren't a super flavorful thing helps them meld with everything else. That's the big point here. Everything is dialed in nicely and this flavor is a lot less scary than it might sound (to people such as myself). Nice job Coolhaus. Thank you for sharing these samples so I could put the s'mores flavor in perspective. It's easy for a company to just tell me to get lost but instead they took the time to explain everything and even sent samples to back it up. That's the mark of a good company and I wish them the best as they continue their expansion. On Second Scoop: I'm finishing my third and final serving right now and I'm reminded that I should have plopped this one on the strawberry donut sundae I made yesterday... though technically I do have one donut left. Look, I'm not going to pretend that a flavor like this is for everyone, but if you dig cheesy flavors, this one shouldn't disappoint. They took the fairly uncommon idea of a cheese flavor and then put their own spin on it without going crazy. It's still an approachable flavor and someone like me appreciates that approach. Good job. Note: Nick reminded me that he reviewed this flavor almost three years ago, but I didn't notice because I had it filed under the architecture name. @aol: coolhaus has been popping up everywhere, even Hawaii, so just keep your eyes open. As for balsamic, that's why I made that comment at the end. It's not crazy potent at any point, but if your spoon is 50% swirl, yeah, you are going to notice it. I would love to try this flavor or anything in a pint they make! 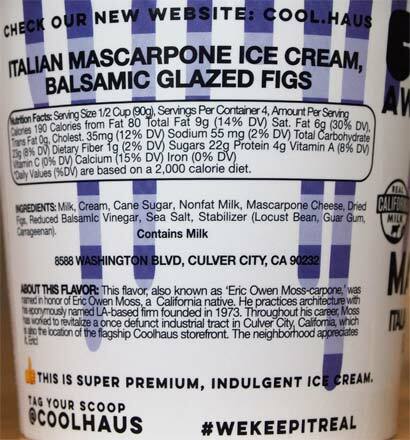 I live in south Florida and as of now, Ive only seen 4 flavors of Coolhaus ice cream sandwiches (at The Fresh Market) and didn't even know pints existed. Maybe sometime soon. The sandwiches are the best I've ever had. Coolhaus pints are terrible. The ice cream is mediocre and there is virtually zero mix ins. I found this out with the chocolate molten cake and the salty smores. They sent me a coupon for free products and assured me they are working on the 'inclusions.' I will probably use the coupon on their ice cream sandwiches which are fine and stay clear of them from now on. @Anon#2: Terrible? Really? So it's up there with say Breyers Gelato or some freezerburned pint of store brand ice cream? Your "absolute" opinion doesn't do anyone any good. 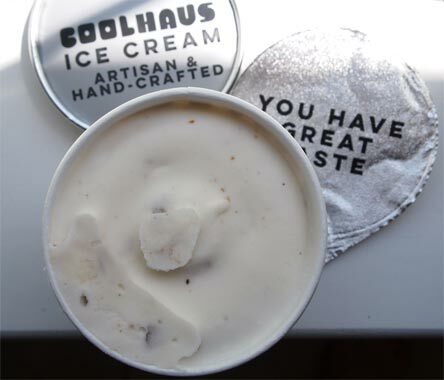 A much better way to state your feelings would be something like "I went in excited to try coolhaus pints since their sandwiches have such a great reputation, but I was personally offended by the level of mix-ins after I shelled out $5.99 for this pint". See, that we can all understand. 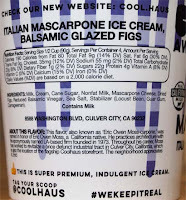 Yes, the level of figs probably dropped off as I finished the pint, but in no way would I suggest that any of the three flavors I have tried are terrible. I bit more subdued than expected, yes. Terrible? No. If you want to be offended by no mix-ins, you should have tried those BLVD ice creams that were made by High Road and hawked by Whole Foods. Now that was offensive! I really like this flavor. Sadly, coolhaus has disappeared from my area. Stores that once carried it no longer do. @aol: HA! as you typed that comment as I was adding that story to make next friendly's review! @last_anon: don't lose hope! If Marvo can find it, so can you! I've been generally let down with thier pints considering the price point. The selection in my area has been the same for a few years as well. Ice cream Sandwiches are top notch, no question. @foolish_anon: you ever follow Scott Adams? He talks of the "absolute tell". Basically the only way you know how to defend your position is by saying it's an absolute (aka "terrible") in your first comment. You then follow this up by attacking me rather than defending your position. Good job proving his theory of cognitive dissonance (I apologize if those words are too big for you). Now will you respond with a thoughtful defense of your original position or just call me another name? @anon246: I don't think they push a ton of new flavors though I guess that could change if they continue to grow. Wait and see. I hear you but the two newest flavors aren't in my area and think they lost their shelf space in Kroger locally. No big loss I guess. In San Diego right now - and just found Salty S'mores and the Sundae Fundae. My little brother thinks the former is the best ice cream he has ever tried. I enjoyed both, but think the Balsamic dig and dirty mint chip are still my favorites. The chocolate molten lava cake is my least favorite. I agree that their ice cream sandwiches are fantastic. Just tried the strawberry snickerdoodle ... awesome! Flavor's not terrible (I'd call it "plain"), but nasty gritty texture. Ugh. @unknown: calling 190 "cray" may be slightly out of skew when there our pints out there that top over 300 calories per 1/2 cup serving.